And now tourist is even closer, possibly 25 FEET at the most! One ton of locomotive-grade muscle vs. 140 pounds of brain matter-challenged human flesh. Do the math . . . carry the nine . . . Bison beats Humans every time. 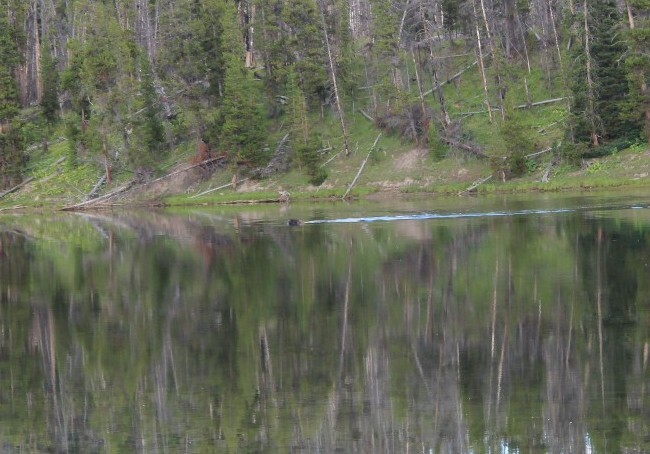 At Yellowstone National Park, I saw a brown blip on my visual radar. Binoculars confirmed my suspicion. 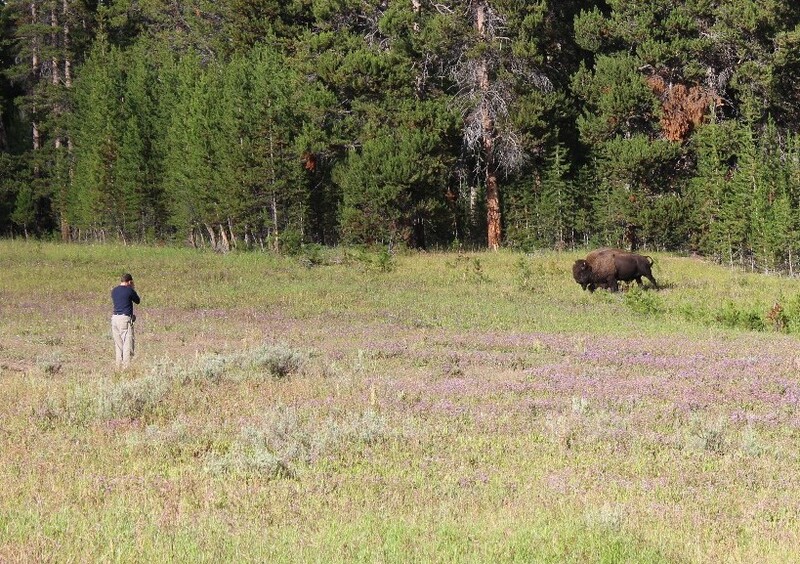 I had spotted a wild animal–in this case, a bison. I trailed it for a while from across a river until I saw it come to water’s edge and realized it may actually cross the river, and sure enough . 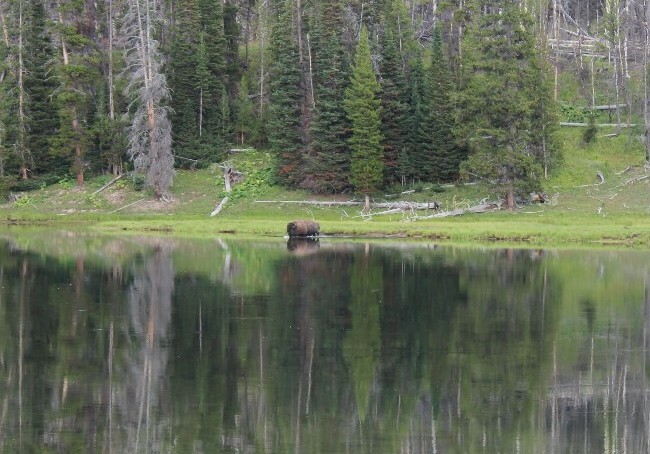 . .
That bison swam across that river in a FLASH! 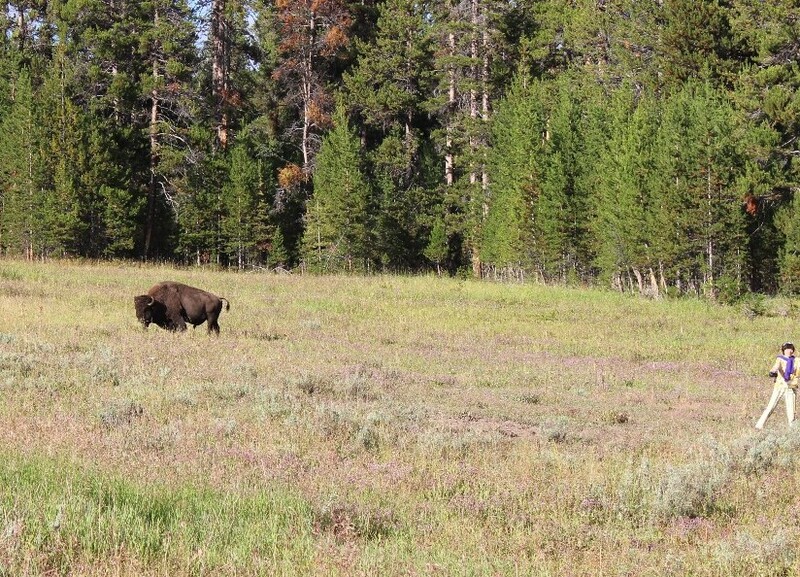 Eager to snap a good photo, I ran to the car for a camera, but by the time I returned, the bison was gone. Gone! What the? Where the? Who the? Holy crap! That’s one fast bison! I guess I was standing there quite a while searching for the behemoth mammal from roughly 200 yards away from the forested patch it slipped into when I turned around and saw the empty road behind me suddenly full of cars and curious humans. Nobody knew yet what they were looking for. They just figured I’d seen something good and were ready to get their chance to do the same. That’s right. To the best of my knowledge, nobody else had seen the bison or how fast the steam engine of a mammal only moments ago crossed the waterway. Nobody but me had recently been reminded the impressive power of these animals. This guy dressed in bright purple and yellow–part of a crew of three similarly dressed tourists who had literally ran INTO, and now out of, the forest in search of the beast–had no concept of its ability to maim. See the brightly dressed tourist on the far right . . . I know for the sure the bison does. Ugggggh. This misguided photographer sure didn’t get a fresh reminder of the animal’s strength . . . 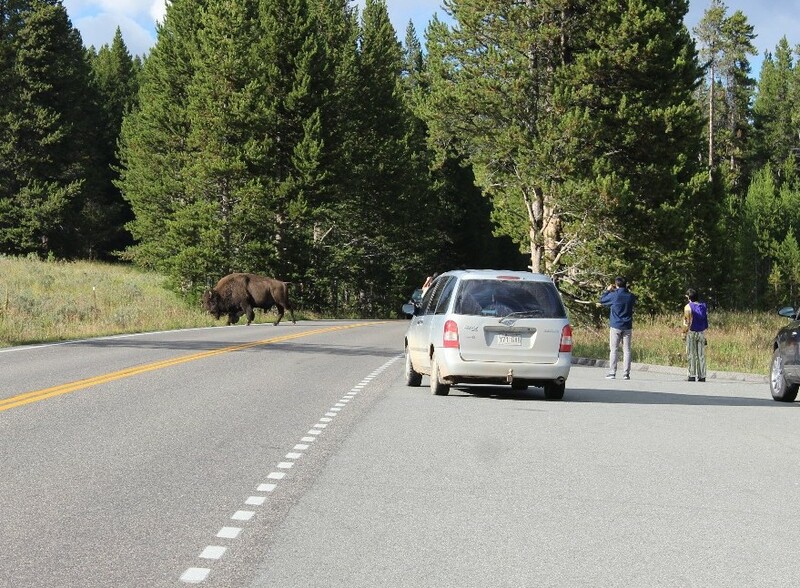 Already, against federal regulations, tourist is less than 25 yards (75 feet) from this large animal. 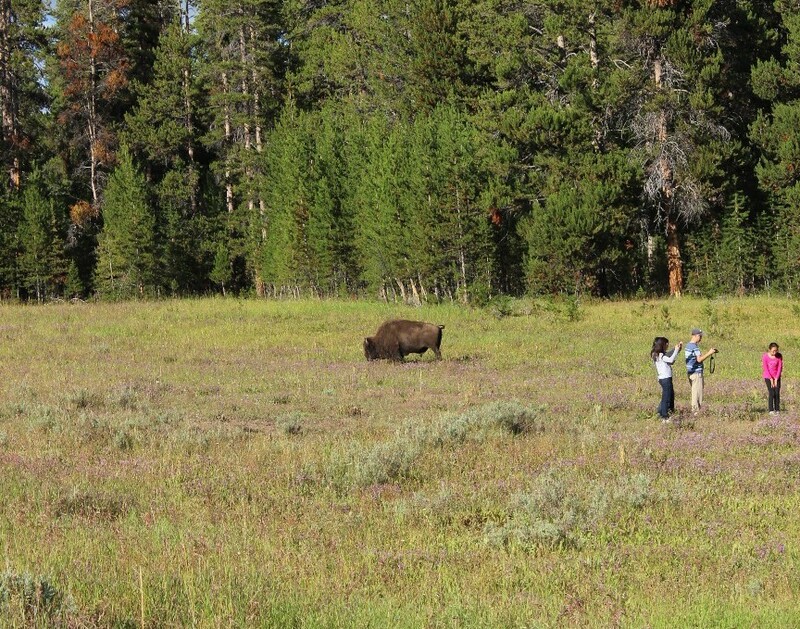 And this trio of clueless tourists were unconcerned, backs turned to the bison, carrying on like they were at a Hollywood photo shoot . 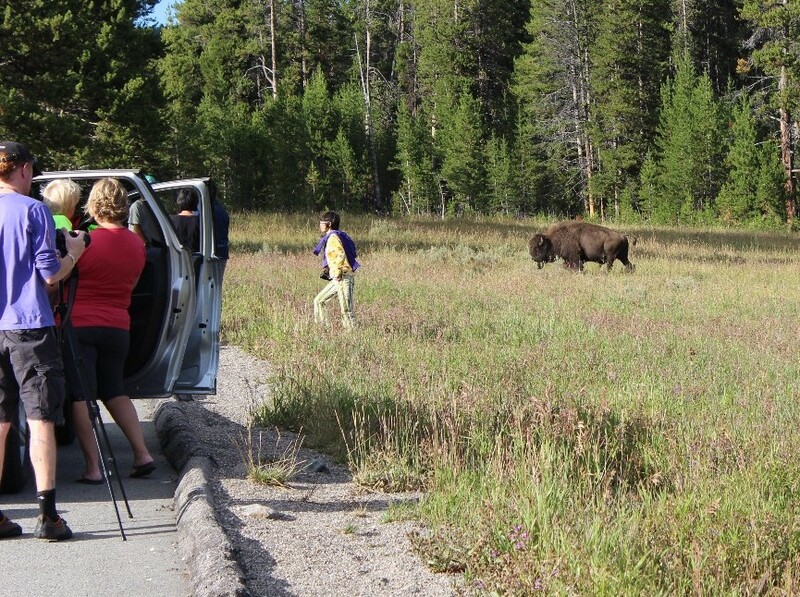 . .
Not one of these tourists is keeping an eye on the bison! 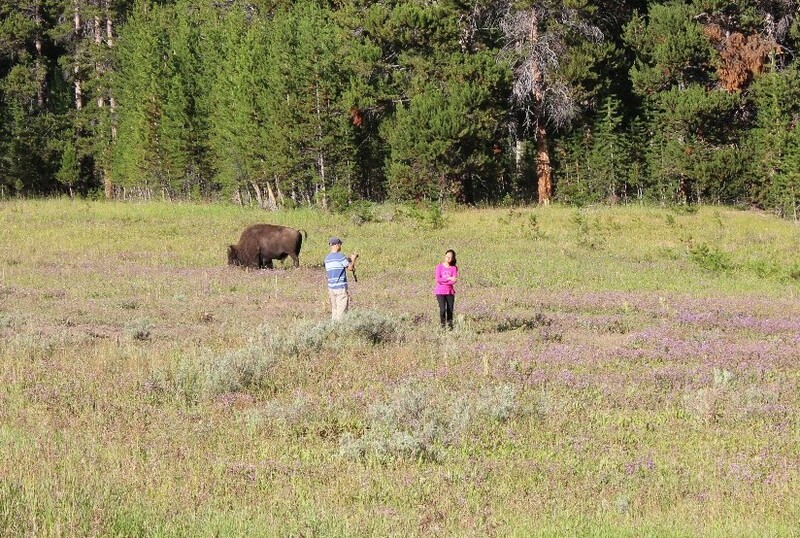 Again, against federal regulations, these tourists are possibly 30 FEET maximum away from the wild bison–posing for pictures, most of the time with their backs to the animal. 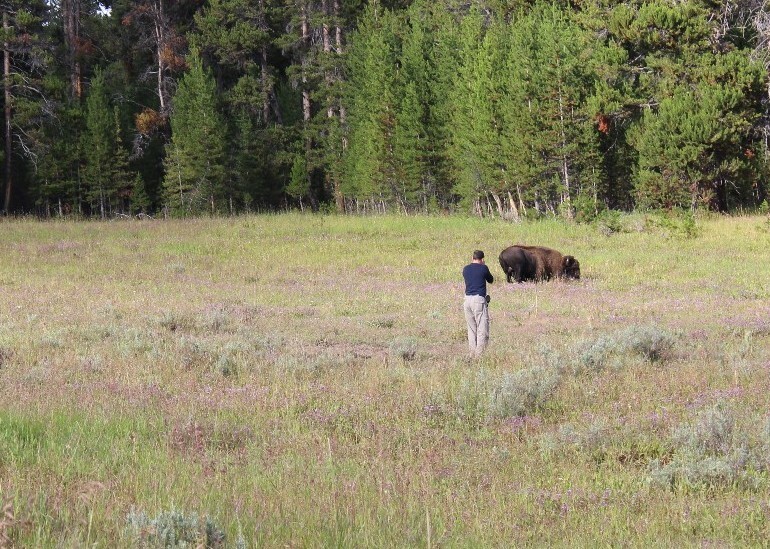 The best description of a bison’s temperament is UNPREDICTABLE. They usually appear peaceful, unconcerned, even lazy, yet they may attack anything, often without warning or apparent reason. To a casual observer, a grazing bison appears slow and clumsy, but he can outrun, out turn, and traverse rougher terrain than all but the fleetest horse. They can move at speeds of up to thirty-five miles per hour and cover long distances at a lumbering gallop. Their most obvious weapon is the horns that both male and female have. But their head, with its massive skull, can be used as a battering ram, effectively using the momentum produced by two thousand pounds moving at thirty miles per hour! The hind legs can also be used to kill or maim with devastating effect. So . . . I say . . . go ahead folks. 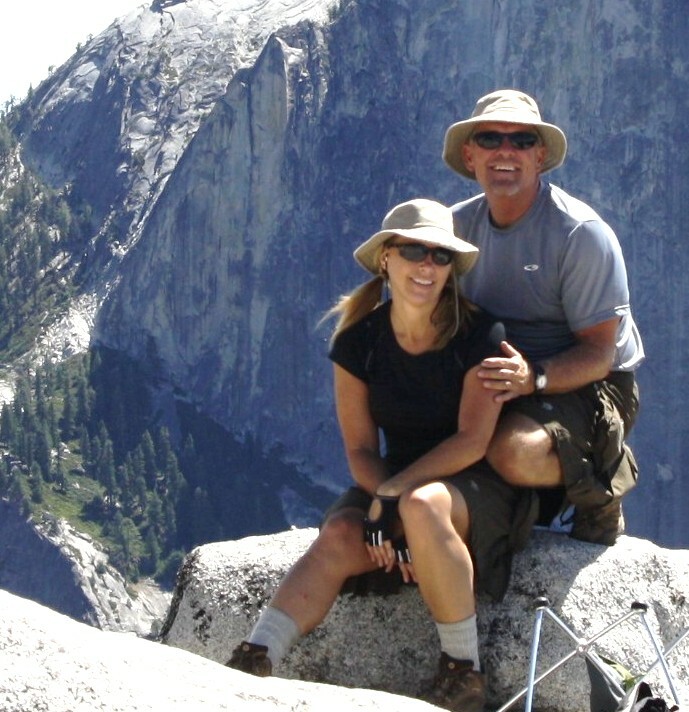 Ignore the warnings at the national parks and get those winning photographs you so desire. I’m just sitting here with my video camera focused just right, waiting to strike gold with my video of YOU on YouTube. 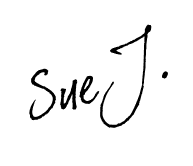 You might be infinitely famous as a result of my efforts when your name is as well-known around the world as McDonald’s or Michael Jackson, but you’ll be six feet underground and unable to cash in on your instantaneous fame. Me, however . . . I’ll be raking in the dough and sporting me some fancy yellow and purple hiking duds like the guy below, only I’ll be . . . you know . . . alive. Most other folks didn’t need a neon sign to know they should stay a safe distance away. The guy in the bright yellow and purple outfit thought otherwise. Oh. And the bison? If this all played out the way it could have, the bison wouldn’t have fared any better than its victim. Instead of sauntering away, like it was trying to do, it likely would’ve been penalized with a death sentence for bashing its 2,000-pound head into a brightly colored humanoid traipsing into the unfortunate animal’s natural, 75-foot-diameter happy space. 2,000 pounds of muscle and mayhem (if it so desired). Can run an easy 35 miles per hour. Idiot tourists live to see another day. Well done, Einstein. Happy now? Folks, get out there and have fun. Visit your national parks. But, for the love of Pete, read the handouts you receive at the entry gates. Heed the warnings. Be a good global citizen and respect nature. Your life could depend on it. 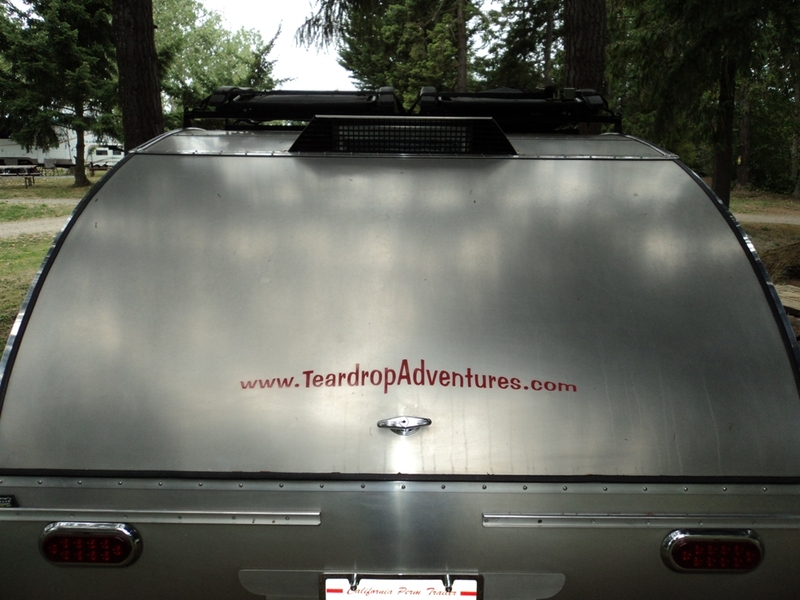 or check out any of our posts along the way . . .